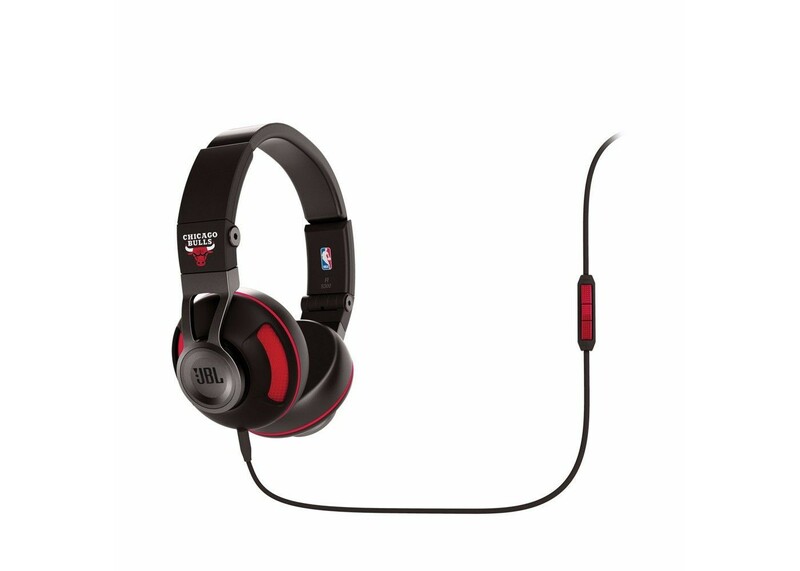 The new NBA Special Edition JBL Synchros S300 breaks away from traditional headphone design. Lightweight, yet durable, with a steel headband and leather ear cushions, the S300 is comfortable for hours of listening. Modeled after the same JBL sound systems used in the more than half the NBA arenas in the US and in the world’s most prestigious night clubs, the S300 delivers a balanced audio experience with amazing clarity and deep, powerful bass. The ear cups rotate and fold in for simple, compact storage. Initially available in 6 team colors, the S300 is compatible with both iOS® and other smartphones. Scientifi cally designed earcup acoustics and a premium 40mm driver are at the heart of JBL PureBass performance, bringing you all the raw power and clarity of pulsing bass – the kind you’d expect from the world leader in concert sound. The result speaks for itself: JBL clarity of sound no matter the frequency or volume, letting you enjoy the deepest-hitting drums without sacrifi cing even a hint of sound quality. The S300 incorporates a 3-D rotational, fold-up design that lets you store or carry it fl exibly and conveniently wherever you stay – or go. Detachable cable design with iOS 3-button remote/microphone cable or a universal 3-button remote/microphone cable included, giving you the fl exibility you need for on-the-go listening.